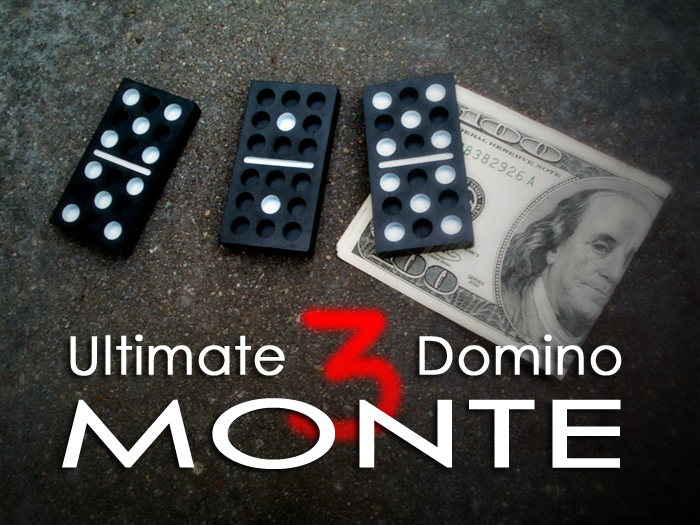 Today, when you order "The Ultimate Three Domino Monte", you'll instantly be emailed a Penguin Magic gift certificate. You can spend it on anything you like at Penguin, just like cash. Just complete your order as normal, and within seconds you'll get an email with your gift certificate. We gave Rick Lax some of our special dominos recently and he came up with some innovative NEW moves EVEN WE hadn't seen before. I LOVE this trick. You'd SWEAR it's electronic, or at least mechanical... yet there are no moving parts! Which also means it'll last forever. 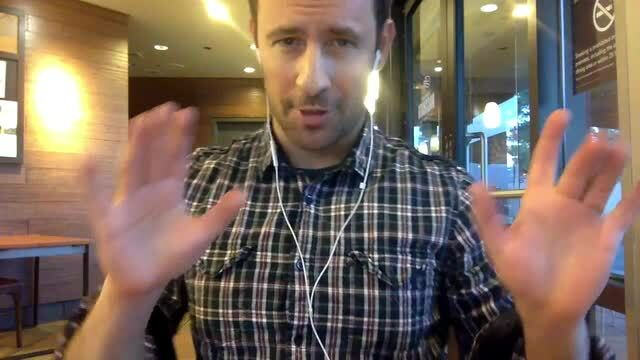 And with the included routine by Oz Pearlman, you can perform and let them be examined MINUTES after opening the box. "People ask me all the time if I use my magic skills to win money. I don't, but I could! let me show you what I mean.."
That's how you begin.. and whether you perform for suckers (oops, I mean FRIENDS!) 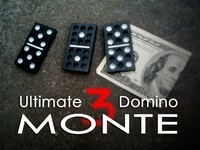 or you like to educate people on the hazards of crooked gambling, Domino Monte is a VERY good bet. PROFESSIONALS: This trick is ideal for sitting one-on-one with a single spectator. It's perfect for casual performances, and the props will last for years. You take out Three Dominos, two "fives" and a "one". Ask a spectator to keep an eye on the "one" as you mix up the dominos. No matter how closely he/she watches, your spectator is completely fooled again and again. The dominos change place magically with NO FUNNY MOVES, and NO SLEIGHT OF HAND! Check out the demo video! Our new design makes this stunningly visual street magic effect EASIER TO PERFORM perform and MORE PRACTICAL. Keep this in mind, and this trick will kill everytime you perform it. Remember "It's not HOW a trick works, It's WHY a trick works"
22 of 26 magicians found this helpful. I have attempted to integrate this into performances a few times and so far the only times I have been able to successfully perform it have been when I have been able to control the situation very tightly. Usually by placing my performance table with my back to a corner, I would coax one or two people to come and "play three domino monte". Any more than two people and this trick seems to fall down. If someone stands a little off to the side and tilts there head, they are in the awkward position of seeing things they shouldn't. I find myself focusing more on making sure they are at the right angle than actually on what I am doing in the trick. Perhaps I am not performing it correctly and I have had a few people very impressed and confused but I worry about performing tricks that I can't control the outcome. If I don't know whether it will work - I prefer not to do it. I was once told, "Amateurs are occasionally brilliant, professionals are consistently good". This feels like an amateur product. All that said - Oz's handling and instruction is really great and the learning experience was rewarding. Bottom line - If you can control your environment, order this trick. If you work where you can't control how people are around you - do not buy it. This is (almost) a no-brainer in that it's basically self-working. If it were a little less angle-dependent, I'd give it a 5. It's so great to take this trick in the hands. Make the spots jump from hand to hand. Big fan of magic that can be done with 'ordinary objects' (things that aren't cards or coins--even though, sure, those are ordinary), and this is a great example. For me as working pro these gimmicked dominos are not useable. They don´t look like normal dominos because of the holes and this effect isn´t angle proofed or better very angle sensitive. If you are able to show this effect just one person it works, but if you have more than two spectators round the table you forget this effect. Purchased this, yes. The gimmick may be noticeable on the side angles, but not always. It is best to perform IN FRONT of the spectators instead of surrounded, so everyone can see the effect. This could work as an opener or just as a bit of a gag but it doesn't pack the punch that say three card monte or the 3 shells has. The gimmicks are a bit cheap but certainly do whats required of them, so if you think this would suit your style then theres no reason no to get it. Unfortunately it just doesn't suit my style. Can't use it. Glad it didn't cost more than $20. Might as well have flushed it down the drain. Might be an OK kid's trick -- for kids who don't perform much. This illusion is so angle sensitive it's hardly worth trying to perform. If your spectator so much as leans the wrong way you're done. Penguin has way too many other great illusions to be wasting your money on this one.